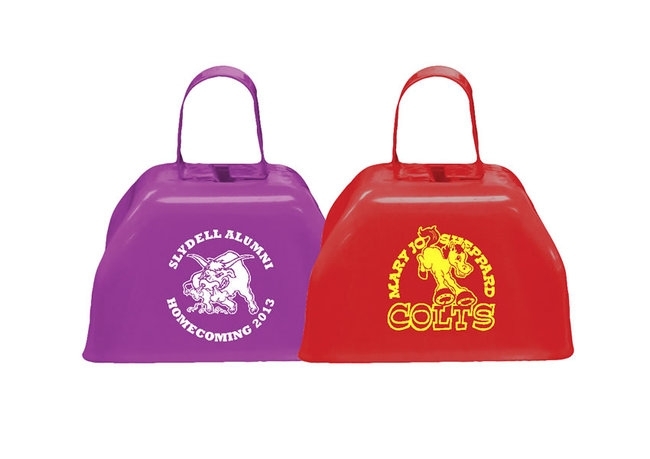 Metal school cowbell noisemakers. 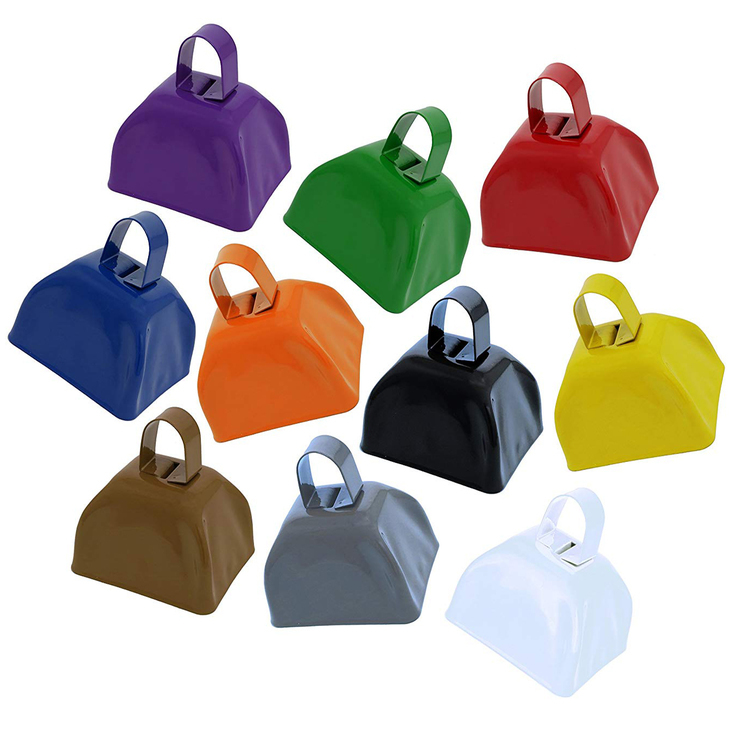 3 inch metal cow bell, rock parties and games with these cowbells.Cheer on school, team, or sporting events.While making noise with these cowbell noisemakers. Metal cow bell. 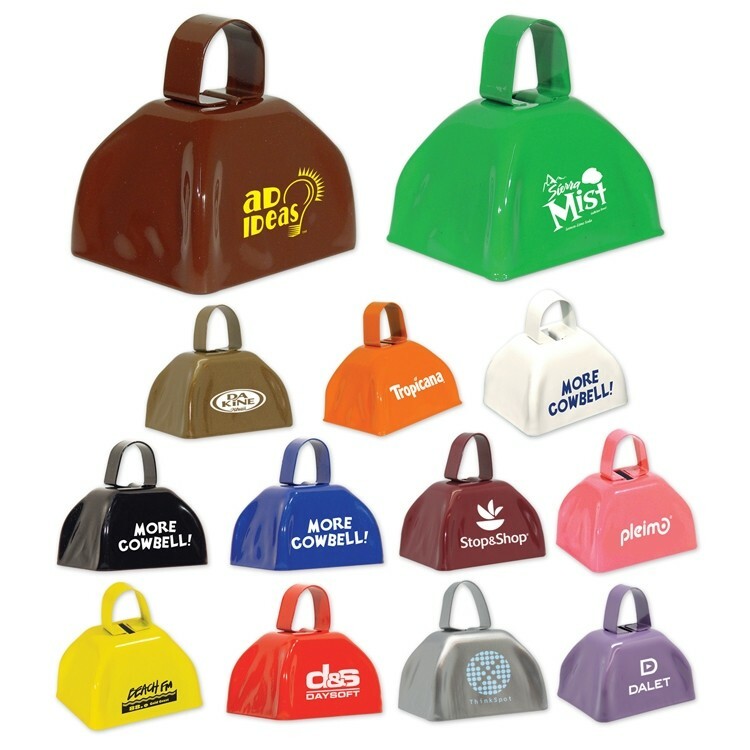 Assorted colors make some noise for your favorite team with these metal noisemakers. 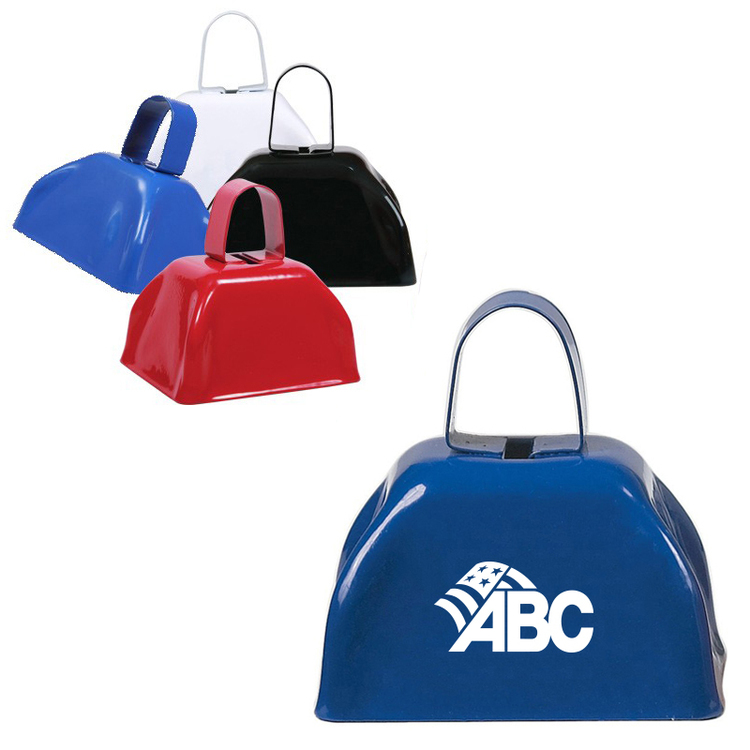 Perfect for sports games, school functions, or as sales promotions, every occasion could use more cowbell. 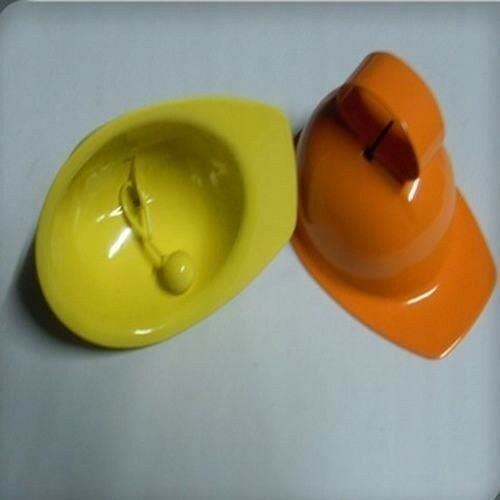 Hat cow bell, other styles are available. 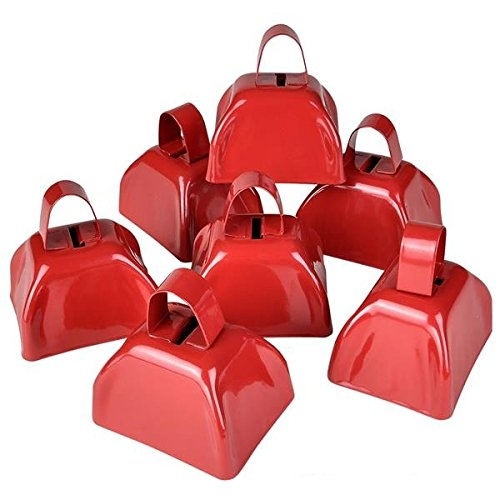 Bullbells are made of metal. 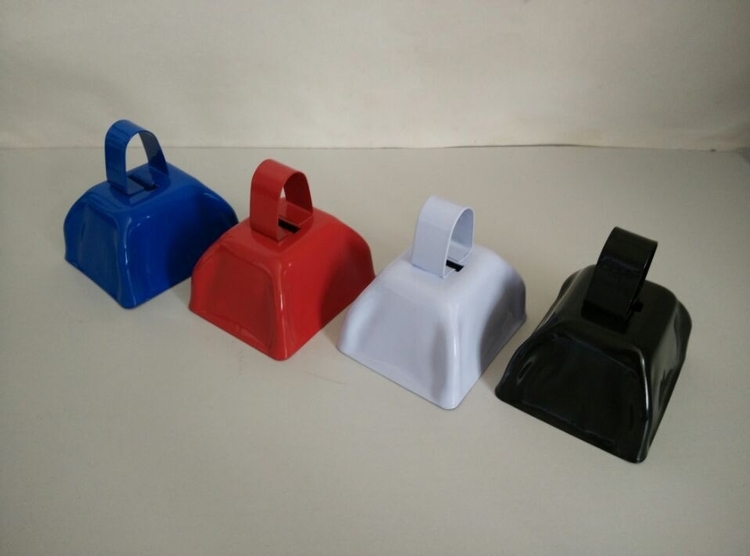 This interesting party, the noise of the cowbell makes a pleasant sound of the cowbell. It is very suitable for festivals and school and adult promotions. 100% recyclable material. There are many colours to choose from. This is the perfect way to boost team pride, special events and any other festivals you want to see and hear. 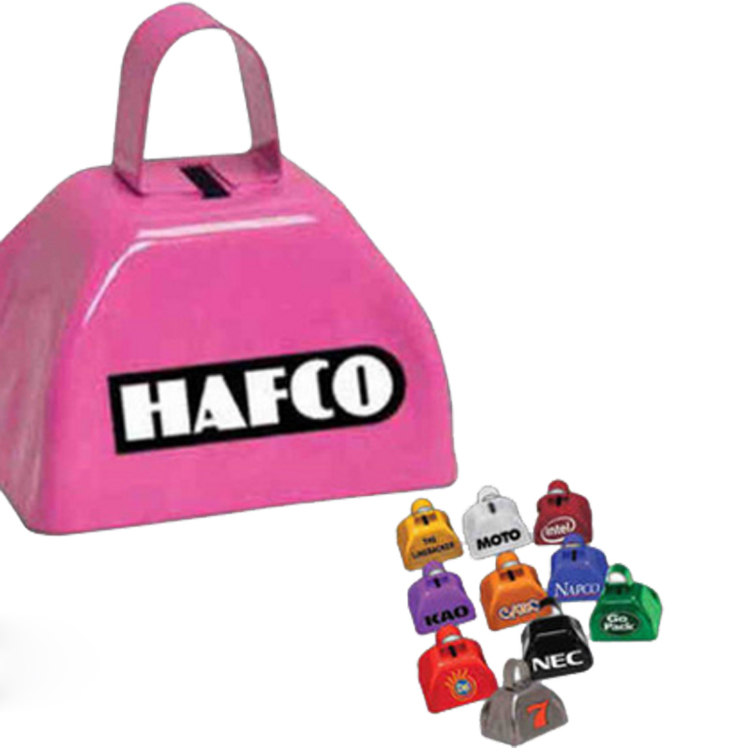 Give this unique cowbell a shock during sports and anywhere you want to make a little noise. Make sure your company name rings all the time! The size is 23/4 "L x 211/32" W x 215/16 "H". Welcome to send inquiries! 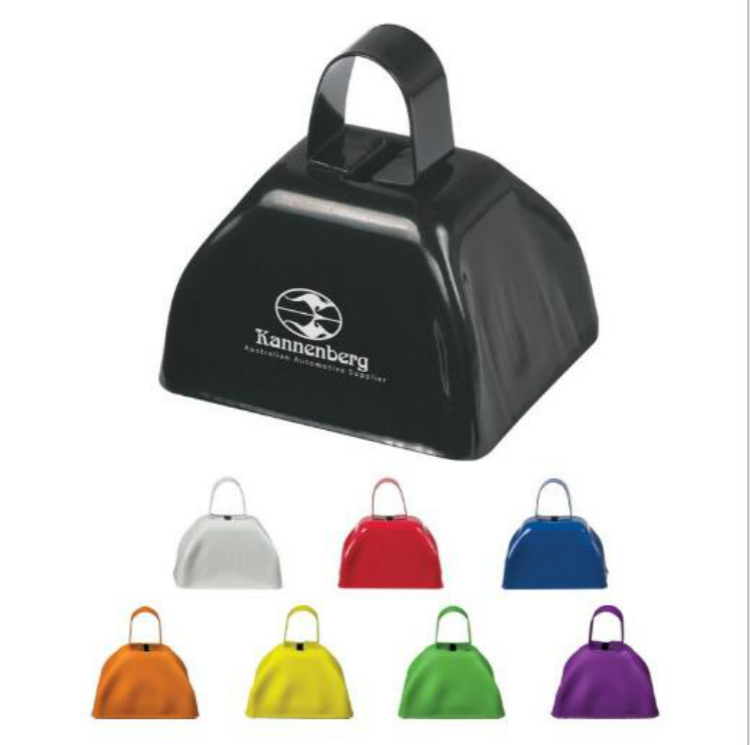 Cowbells create noise and excitement at sporting events, rallies, weddings, parties and more. Choose from eleven cool colors. 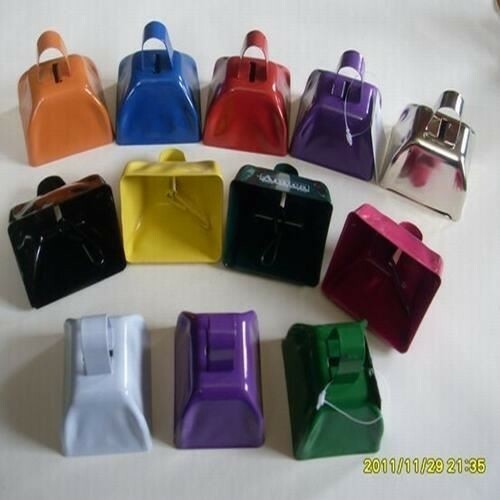 Sturdy metal cowbell with clapper and handle, makes delightful cow bell sounds. 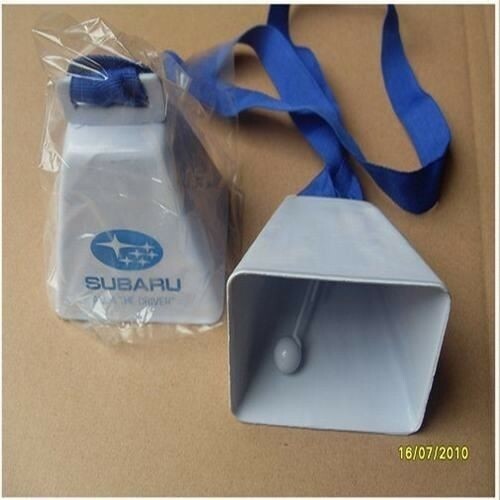 Perfect for sporting events, pep rallies, parades, fairs, shareholder meetings, corporate events, charity events. 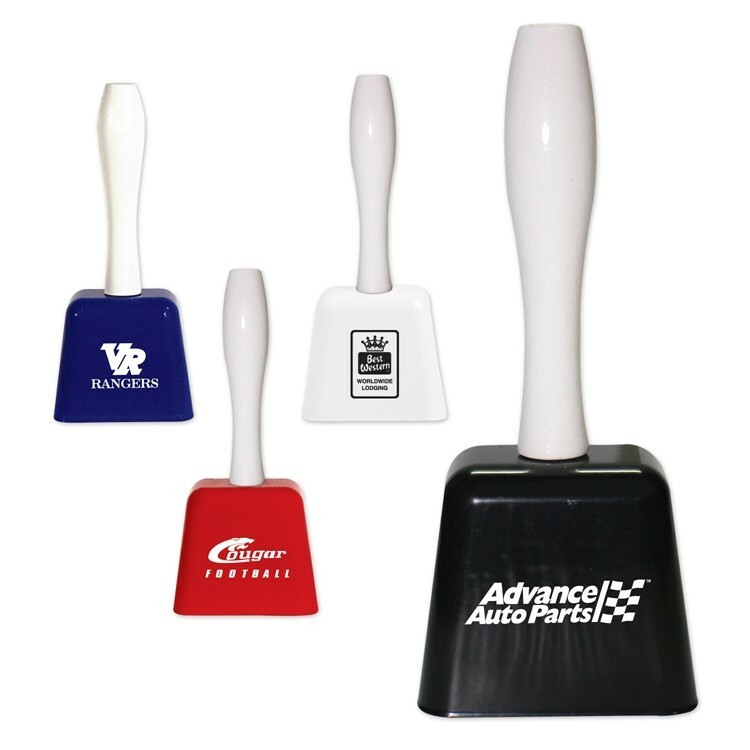 Make some noise for your favorite team with these metal noisemakers. 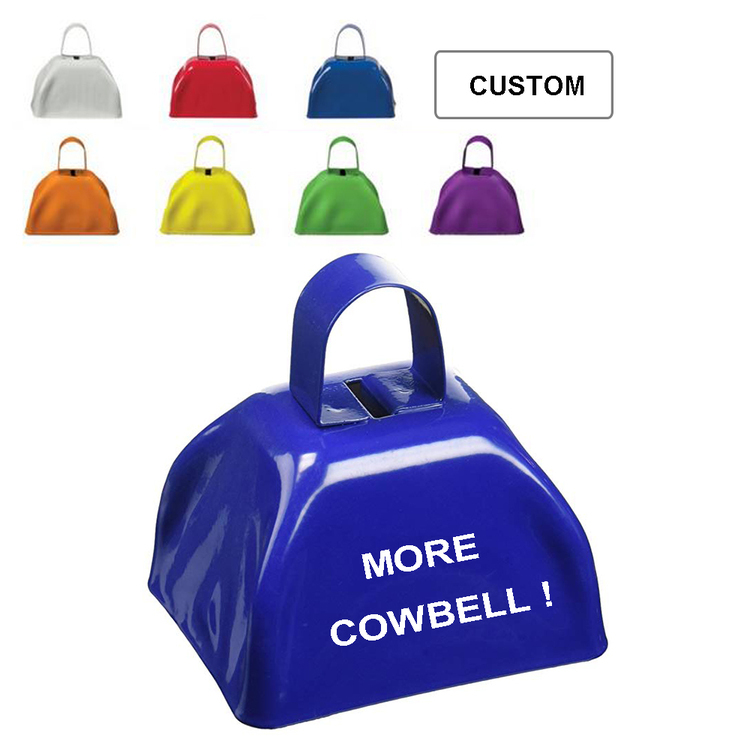 Large tall custom metal cow bell, other styles are available. Hear that? It's your advertising working for you. 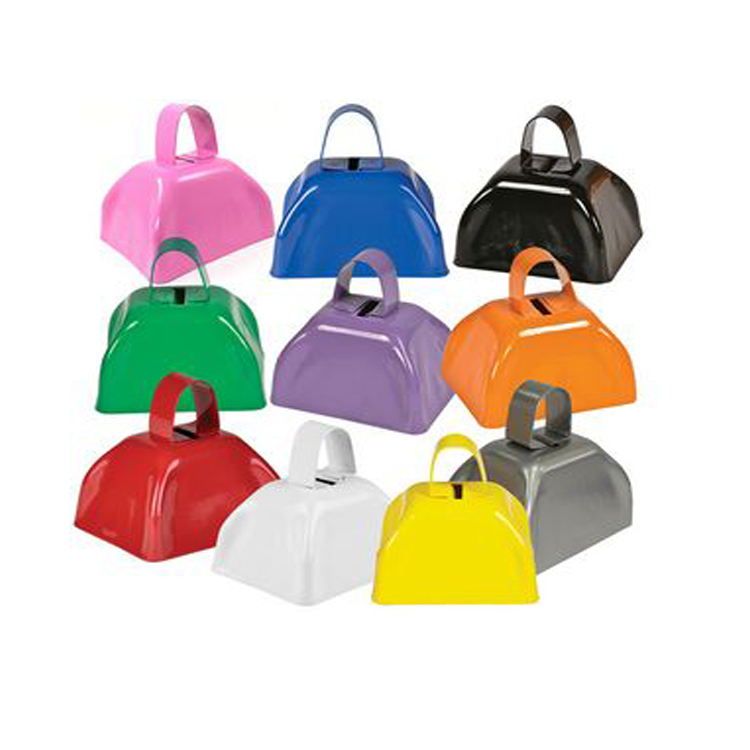 A spin off of the basic cowbell, these 4" metal cowbells provide a new twist on an old classic. Customized with your organization's name and logo, its the perfect way to promote concert events, team support and any business that you want to be seen and heard. Make sure your company's name always rings a bell. 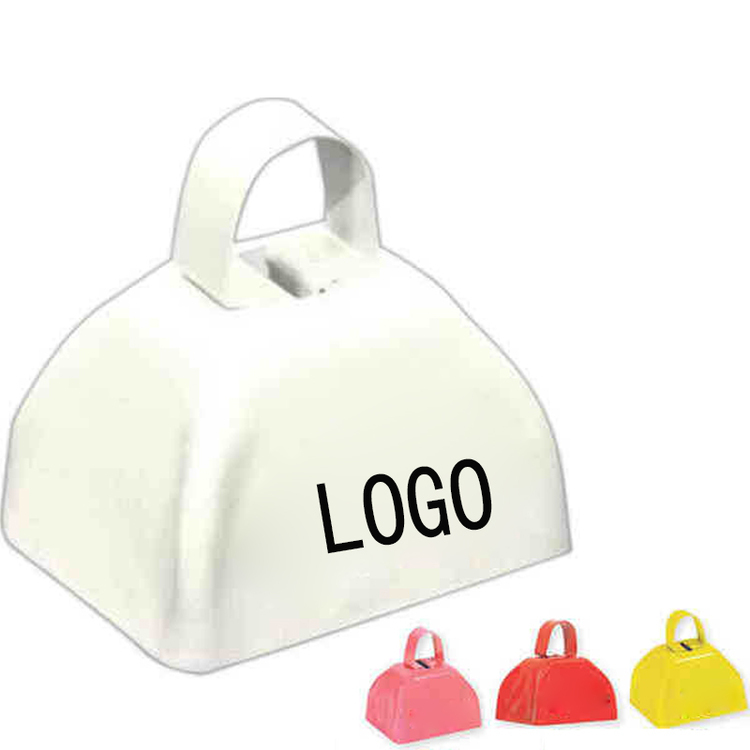 Custom colored cowbell with 1 color printed logo in 1 position. 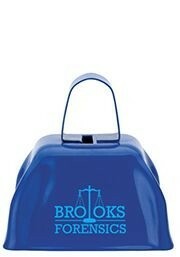 Give your cause a new voice with this three inch cowbell. 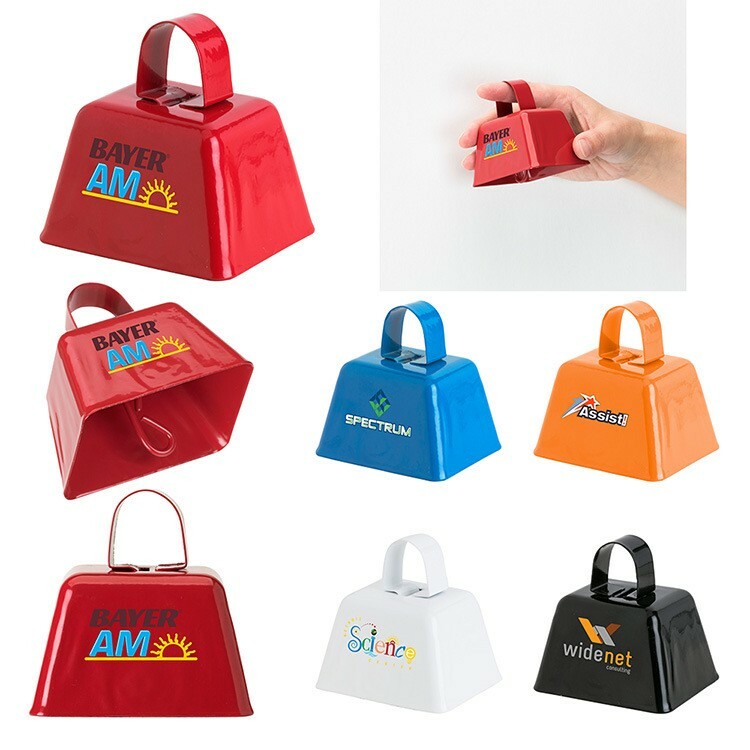 Customized with your organization’s name and logo, it’s the perfect way to promote team pride, concert events, and any other festivity that you want to be seen AND heard. 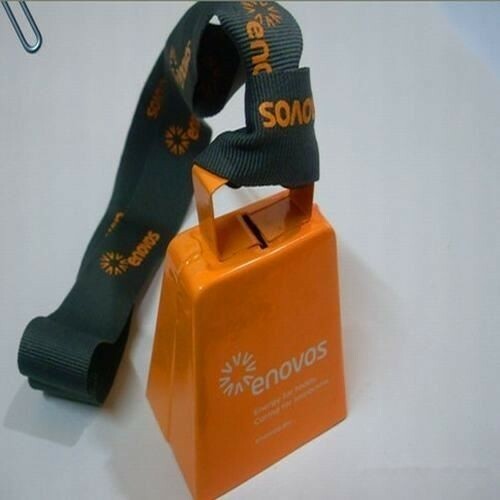 Give this unique cowbell a ring during a game and at promotional events, whenever you want to make a little noise. 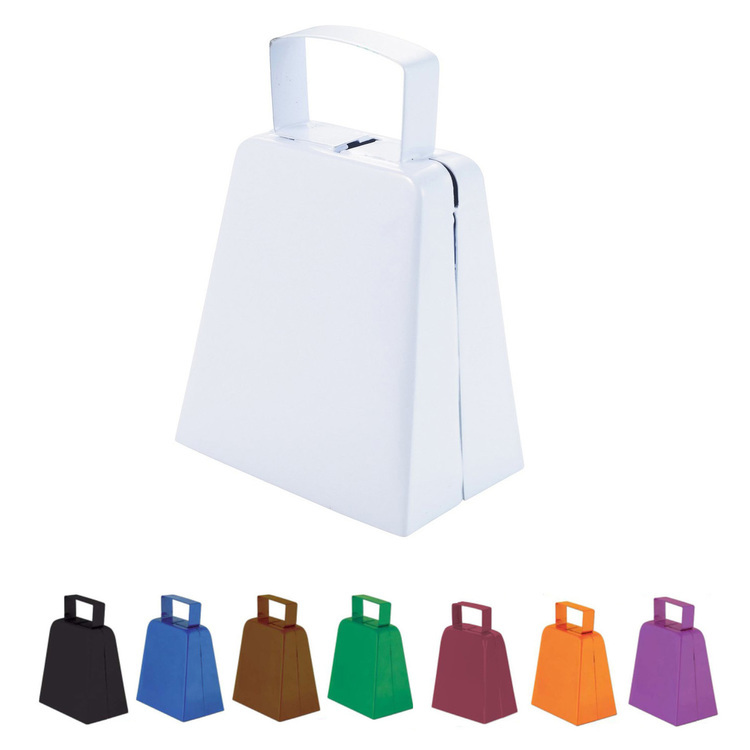 Tall large cow bell, other styles are available. This metal cowbell is designed with a top grab loop, so swing 'em high! 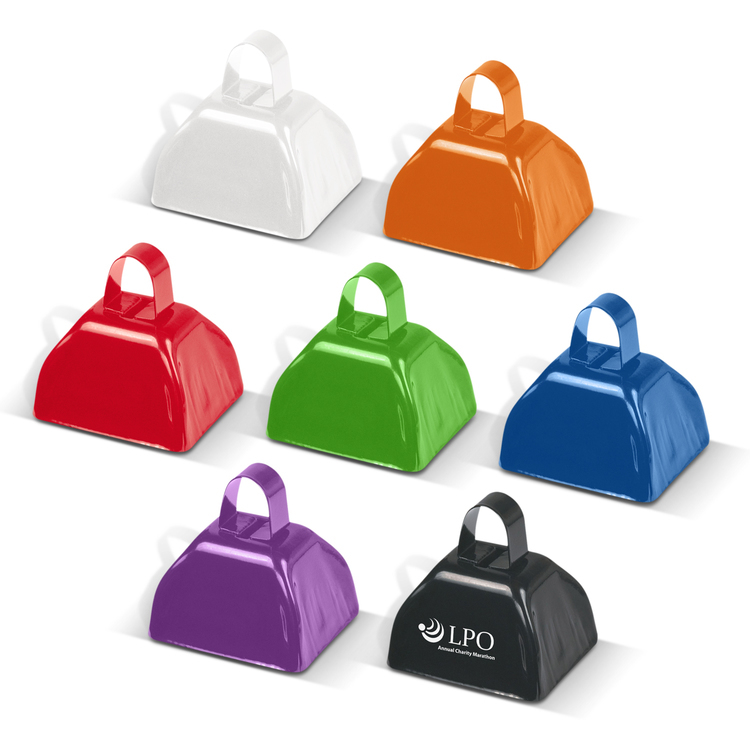 Available in one of your choice of several customary team colours or capture the attention of passers-by and gain their support. Perfect for raising spirits at pep rallies, parades, sporting events, county fairs, rodeos and so much more. Price include 1 side 1 clor logo. 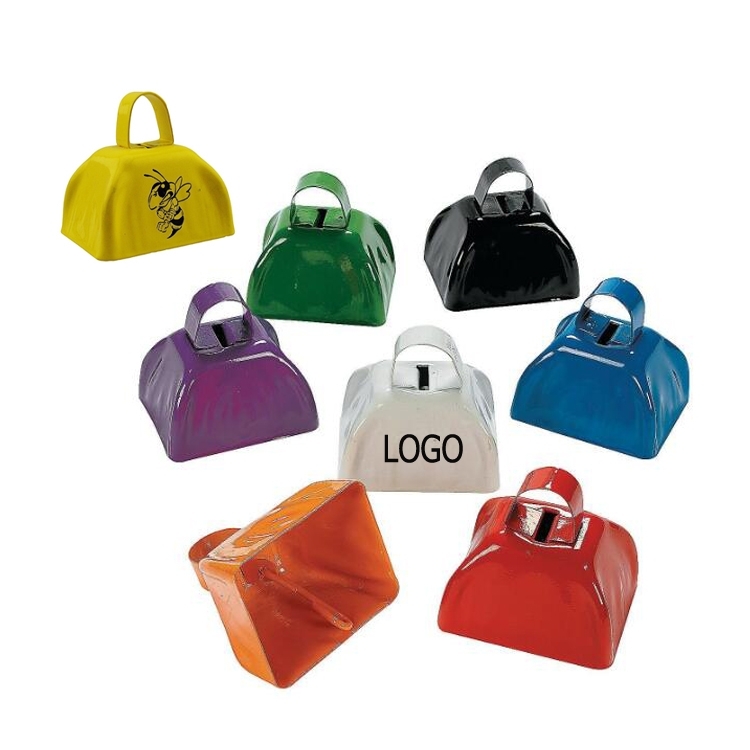 The cowbell is made of metal, These cowbells can make loud noisemakers for New Year's Eve, football games, or any time you want to raise a raucous ruckus.Ideal for a western or cowboy themed birthday party.Logo printing is available with all colors ,the price includes the one color one side one location printing . This cowbell is made of metal. 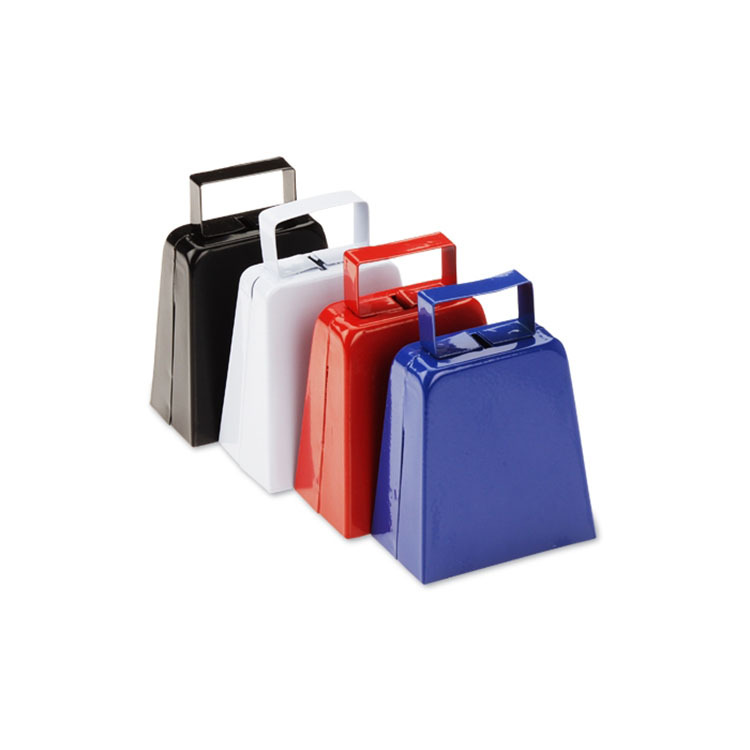 Make some noise for your favorite team with these metal noisemakers. 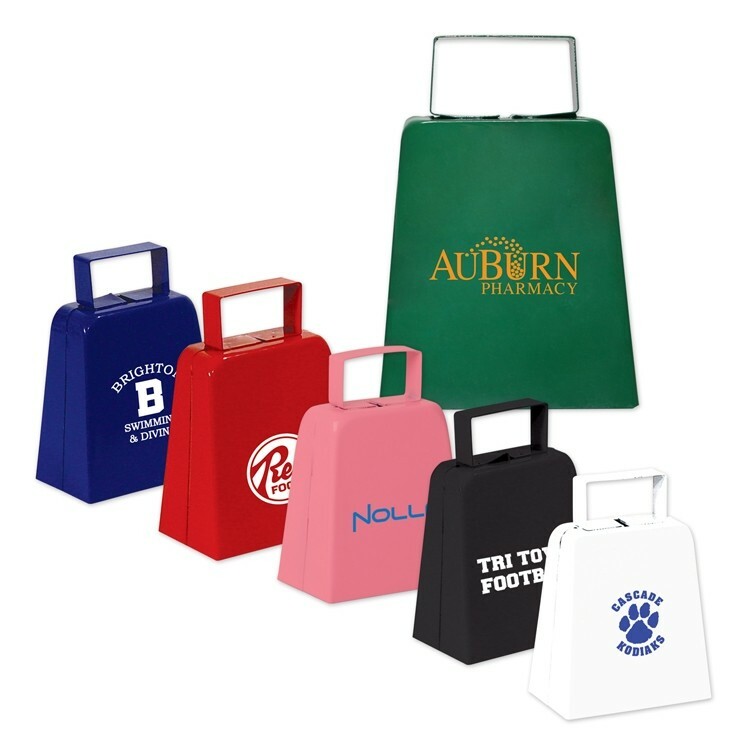 Perfect for sports games, school functions, or as sales promotions, every occasion could use more cowbell. Custom logo color is work. Price includes 1 color 1 side 1 location with silkscreen imprint.